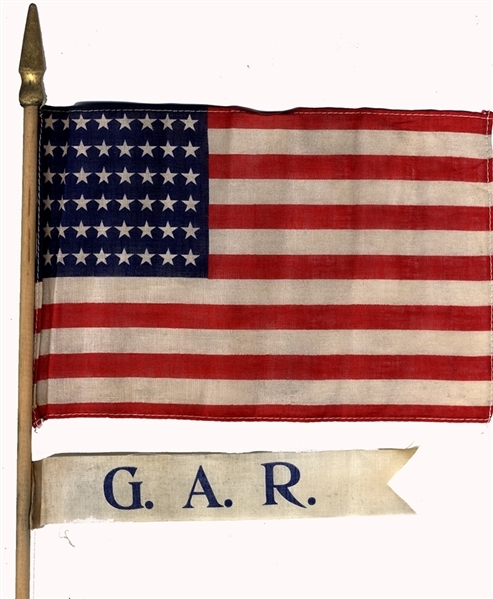 Nice 48 star flag with a GAR attached to the original flag pole. The flag measures 7" x 11", fine. This was likely used during a GAR parade. The GAR ribbon is fine, save for some discoloration where the ribbon is stapled to the wooded pole. A great piece of Civil War history.